I believe that experiential learning provides the best opportunity to truly expend one’s understanding of a topic. When I was a Coro Fellow in Southern California, I learned about the general semantics concept that the “map” (descriptive words) is not the “territory” (the phenomena). To navigate the complex world of the grape and wine industry, you need first-hand acquaintance with the territory to expand your knowledge. In an effort to actualize this concept, Val and I traveled to Toronto last week to attend the USDA Foreign Agriculture Service’s annual Canada Concepts conference. We also used our visit as an opportunity to immerse ourselves in the Ontario wine market. We learned at the conference that Canada is the Unites States largest agriculture trading partner; with cross border agriculture trade valued at over $40.5 billion and wine exports increased by 4.5% over the past year. Unfortunately, Canada (Ontario in particular) has not been the best market for New York wines, so Val and I sought to revisit the market with fresh eyes to uncover new opportunities. Almost 13 million people live in the Greater Toronto Area. A provincial monopoly known as the Liquor Control Board of Ontario (LCBO) controls the distribution of wine, and it has the distinction of being the world’s largest wine buyer. It annually sells $6 billion worth of wine, beer, spirits, and cider at their retail locations. 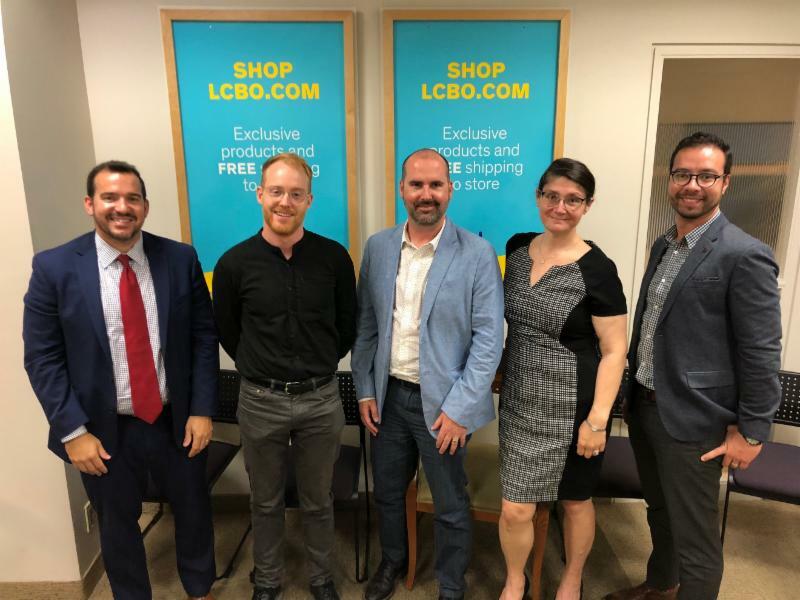 LCBO wine sales account for almost $2.2 billion annually and alcohol consumption has been increasing 2-3% annually in the Province of Ontario. The LCBO divides its retail wine business between its Generalist division and the Vintages division. Generalist wines generally sell for less than $14.95 per bottle, whereas Vintages (hence the name) feature premium wines at premium prices. New World Wines (like New York) achieved 15% sales growth over the past year in Vintages and sell at an average retail price of $18 per bottle. There appears to be an opportunity to revisit the Canadian market for New York Wines. Val and I are working with our in-market representative, Robert Ketchin, to develop a long-term strategy to make the Canadian market viable for many New York brands. 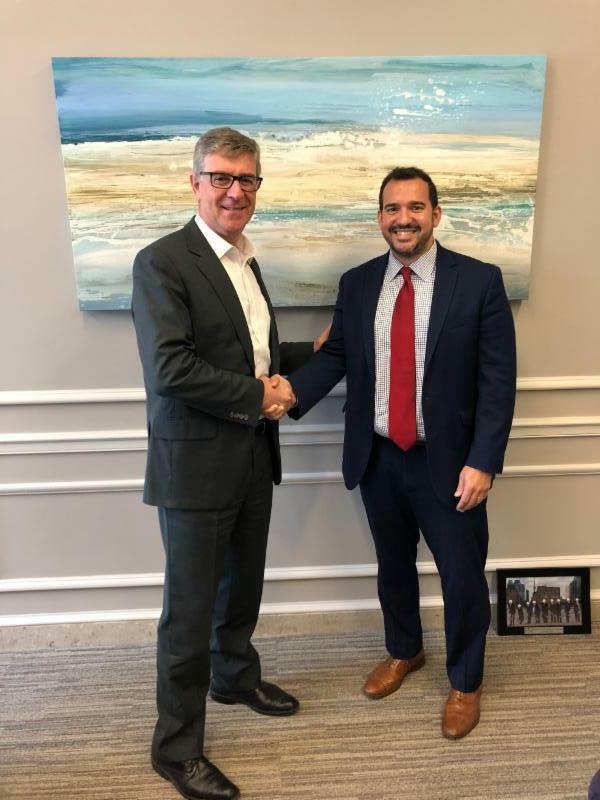 During our Toronto visit, Robert secured meetings with the LCBO CEO Dr. George Soleas, the LCBO’s top wine buyer and the New World Wines category manager, and with several leading agents that represent the best-selling wine brands in retail stores and restaurants. These meetings left us feeling encouraged that there are some new strategies to be pursued for the Ontario market. We will be revising our Canada strategy with Robert through the end of the Fall, and we plan to have Robert host a webinar on the ins and outs of working in the Canadian market.